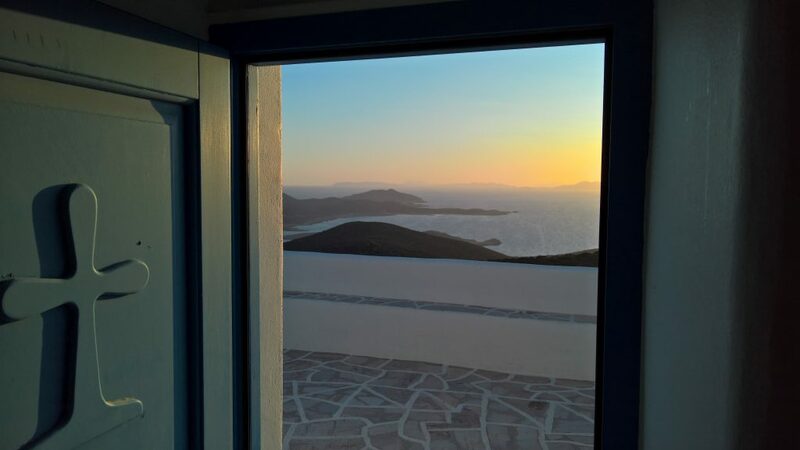 The western coast of Antiparos is the ideal place to enjoy an evening sunset. 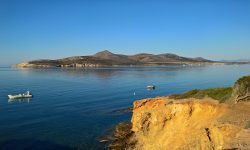 From the Sifneiko beach near the village of Antiparos until the southwest point where the chapel of Agios Georgios is located you have the best sunset views on Antiparos. 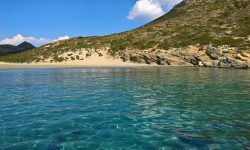 The top spot is on the highest point of Antiparos island at Profitis Ilias chapel, the road starts from Agios Georgios in Trahilos hill and a 4×4 car is needed, it is around 20 minutes drive. You can hike also from the same road and you will be on the top at around 1 hour. 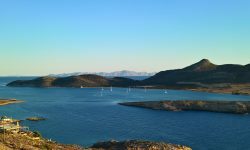 Subscribe for our News and Offers!